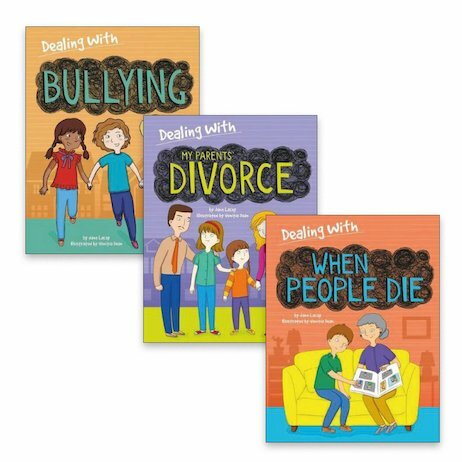 Handy and inspiring guides to handling life’s challenges – with case studies, tips, discussion ideas and short plays to perform. Each book explores seven realistic examples of a different tricky situation, giving you practical pointers to help you come out of it stronger and wiser. For example, Winnie’s friends are bullying other kids. What should she do? If she says something, will they turn on her? Or there’s Ewan, whose granny has just died. The rest of the family don’t want to tell his little sister Lola, but he thinks she should know the truth. What should he do?